Tucked away in the rolling hills of southeastern Arizona is a hidden treasure. Patagonia Lake State Park was established in 1975 as a state park and is an ideal place to find whitetail deer roaming the hills and great blue herons walking the shoreline. The campground overlooks a 265-acre man-made lake where anglers catch crappie, bass, bluegill, and catfish. Trout is stocked every three weeks from October through March. The tracks of the New Mexico/Arizona railroad lie beneath the lake and remnants of the old historic line may be found at the Nature Conservancy in Patagonia. Hikers can stroll along the beautiful creek trail and see a variety of birds such as the canyon towhee, Inca dove, vermilion flycatcher, black vulture, and several species of hummingbirds. The park offers a beach, picnic area with ramadas, tables & grills, a creek trail, boat ramps, a marina, and the Lakeside Market. There is a campground, boat-in camp sites, restrooms, showers, and a dump station. The Lakeside Market offers boat rentals, fishing licenses, bait, ice, and more. At two and a half miles long and 250 surface acres, Patagonia Lake State Park is popular for a variety of recreational activities, including water skiing, fishing, camping, picnicking, and hiking. Created by the damming of Sonoita Creek, the lake is habitat for bass, crappie, bluegill, and catfish, and is stocked with rainbow trout during the winter. For anglers' sake, the east half of the lake is designated a no wake area. A handicap fishing dock is located at the marina and behind the Sonoita Creek visitor center. Because the lake attracts a multitude of water sports enthusiasts during summer months, water skiing or towing a recreational device is prohibited on weekends and holidays from May 1 through September 31st. Camping ranges from undeveloped spots to sites with water and electric hookups. Park conveniences include picnic ramadas, a swimming beach, and a marina store with boat rentals. Entry to the park is allowed from 4 am until 11 pm and access is from State Route 82 between Patagonia and Nogales. Park conveniences include picnic ramadas, a swimming beach, and a marina store with boat rentals. Please familiarize yourself with the park rules and help us preserve this irreplaceable resource. No glass containers or pets are allowed on the beach. Keep pets on a leash and do not leave unattended. Campfires must be attended and are allowed only in approved firerings. Wood gathering is not permitted. Generator must be muffled and off at 9 pm. All vehicles must remain on paved surfaces. Limit 2 vehicles per campsite. Fees are charged per vehicle. Quiet hours are 9 pm until 8 am. Day-use hours are from 4 am until 10 pm. Damaging or removing the natural rocks, vegetation or public property is prohibited. Personal Watercraft (Jet Skis) and above-water-exhausted boats (Jet Boats) are prohibited on the lake. "No Wake" speed on east half of lake. All boat traffic is counterclockwise. Water skiing, and towing recreational device prohibited weekends and holidays May 1st through October 1st. Boaters should familiarize themselves with all Arizona watercraft rules and regulations. Camping permitted in designated sites. All camping is first come first serve, no reservations or holding of campsites is allowed. Automatic entrance gate closes at 10 pm and opens at 4 am. Entry to the park between these hours is not allowed. Contact ranger residence, or call 911 for after-hour emergencies. The Patagonia Lake Visitor Center/Entrance Station is open all year except Christmas Day. Hours are from 8:30 am – 5 pm November through March. April through October hours are the same except on Fridays hours are 7 am – 10 pm. The park has an automatic entrance gate that closes at 10 pm and no entry is allowed until it opens again at 4 am. 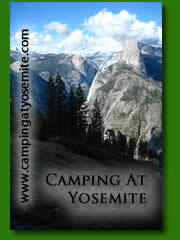 All camping, day use and annual permits can be purchased here. A small lobby is available with various brochures describing surrounding areas and destinations. Maps are also sold here. The Lakeside Market and Gift Shop is operated by the park concessionaire and is located in the boat trailer parking lot. The concession also sells fishing licenses, firewood, grocery items, ice cream, soda, beer and wine and other camping supplies. Boat rentals are also available. Hours vary by season. Call (520) 287-5545 for more information. A group day use area capable of seating 60 people under a ramada is available by reservation for a $10.00 non-refundable fee. Visitors then pay a charge of $8.00 per vehicle up to 4 adults. There are no group camping areas available. 72 developed campsites with a picnic table, a fire-ring/grill, and parking for 2 vehicles. Select sites also have a ramada. Rates are $15.00 per night per vehicle. Campsites tend to fill up in the evening from May until November. Campsites are first come, first served. Campsite lengths vary but most can accommodate any size RV. Quiet hours (no generators, music, or loud voices) are from 9 pm – 8 am. 12 boat-in campsites are available at $15.00 per night per vehicle. Sites have a picnic table, fire-ring and are accessible by boat only. Some sites have portable restrooms.Quiet hours (no generators, music, or loud voices) are from from 9 pm – 8 am. Boats are available for rent from Patagonia Marina and Boat Rental, located in the boat trailer parking lot. 34 electric RV sites are available on a first come, first served basis. Sites include a picnic table, a fire ring, water hook-up and 30 amp electrical service. Some sites are located on the shoreline. No sewer hook-up. Campsite lengths vary but most can accommodate any size RV. Quiet hours (no generators, music, or loud voices) are from 9 pm – 8 am.